New album with guests including Annie Haslam, Arjen Lucassen, and more! More information: Following on from 2016’s Overwrite the Sin, Alter Ego sees Joost Maglev’s songwriting mature and develop, tackling personal subjects, including his own creative burn out. On this album Joost is joined by a stellar guest list including legendary Renaissance vocalist Annie Haslam, Arjen Lucassen (Ayreon), Mark Bogert (Knight Area), Sebas Honing (Equisa) and renowned solo artist Ben Craven. Equisa’s master of battery Stefan Maas drums throughout the album. 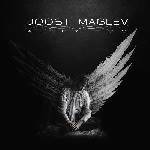 Joost’s music been compared to Queen, City Boy, ABBA, Ayreon, and Kansas - to name but a few, blending of symphonic rock with melodic sensibilities.